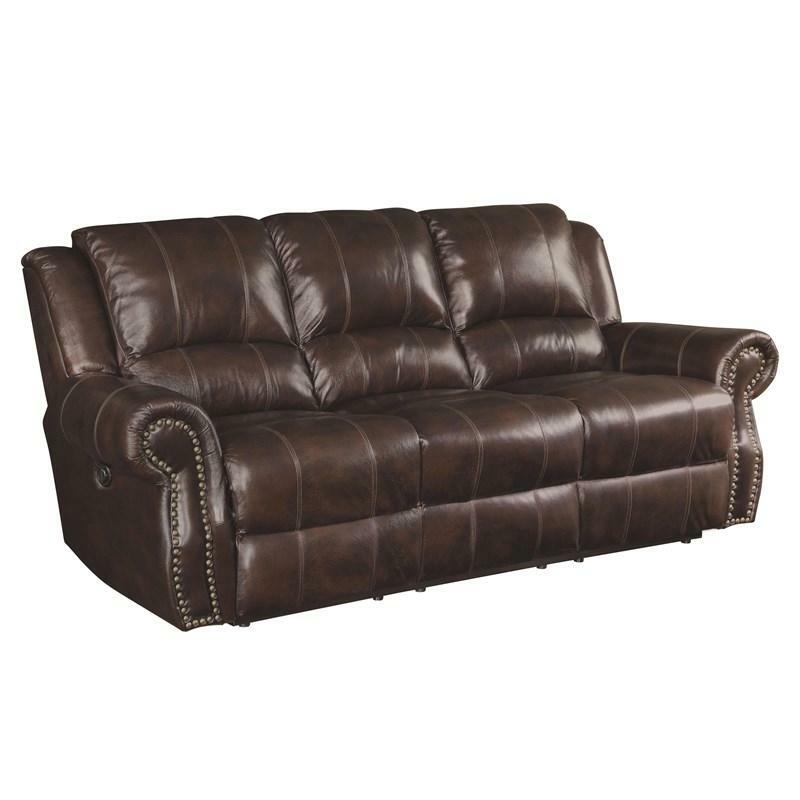 This Sir Rawlinson motion sofa boasts a handsome covering of burgundy brown leather, contrasting topstitch detailing, and extra plush support for your arms and neck. 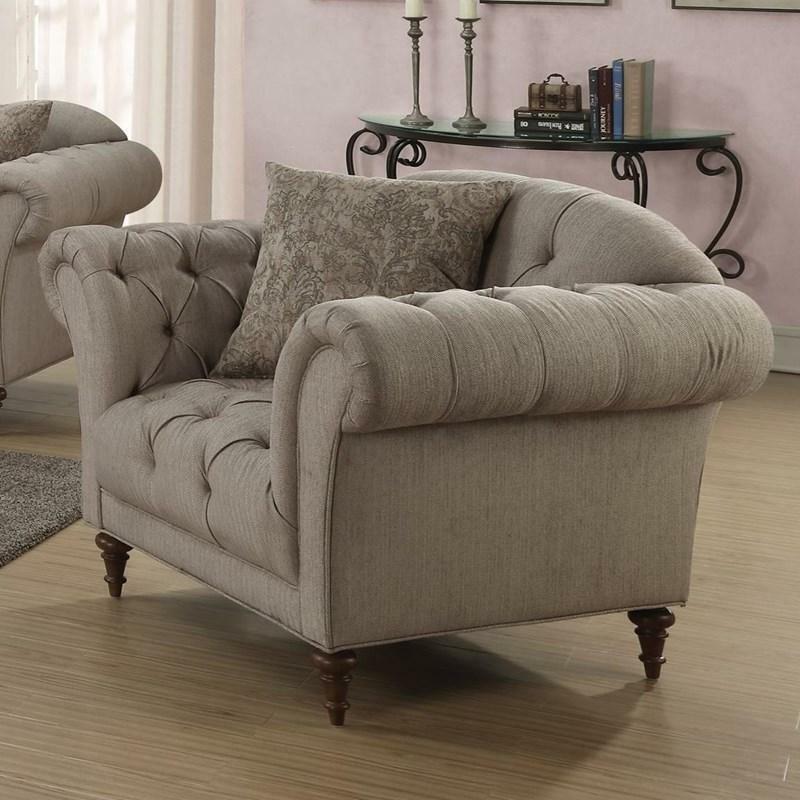 It features a comfortable pub-style back, pad-over-chaise seating with padded footrest and padded rolled arms. 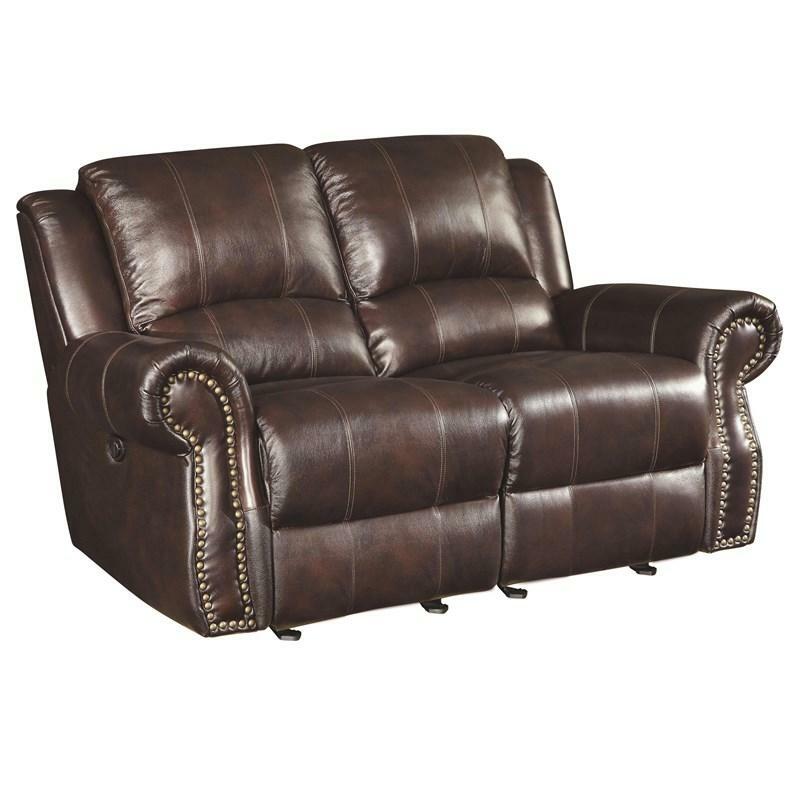 It is beautifully adorned with stitching details and nailhead trim accents. 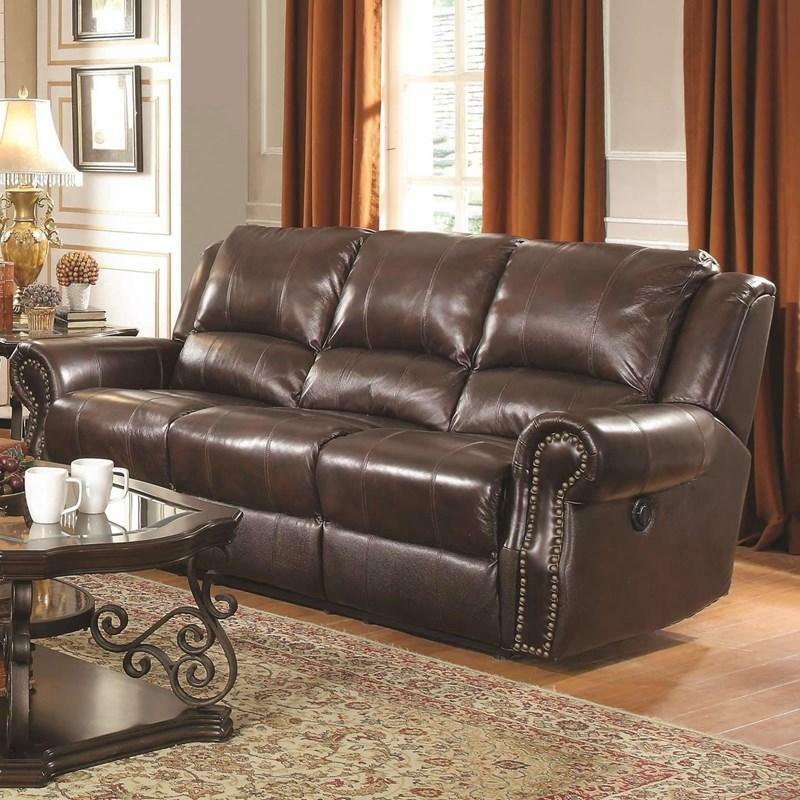 Volume 55 cu. 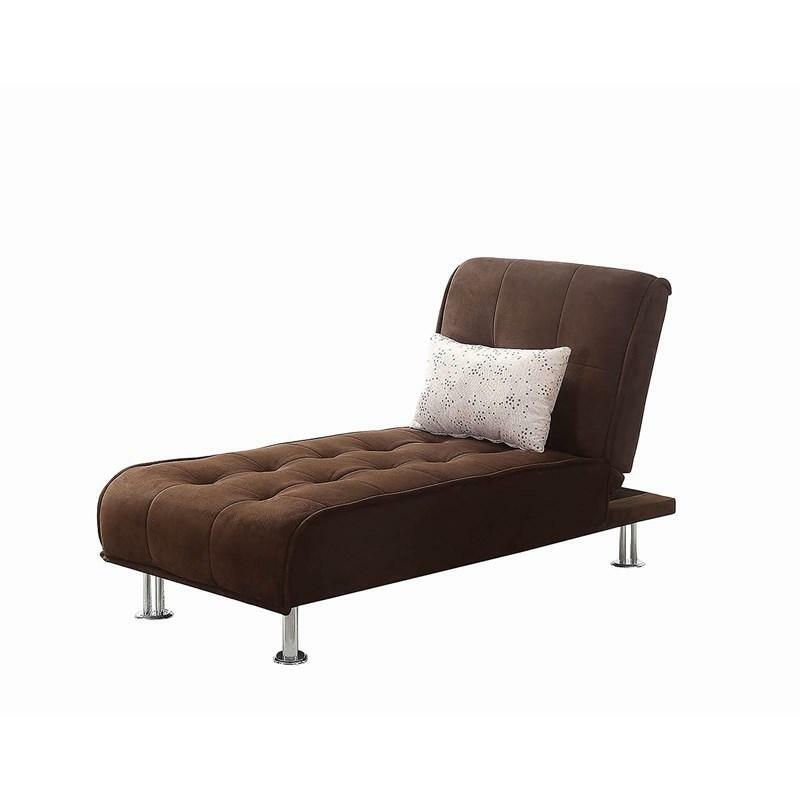 ft. / 1.56 cu. 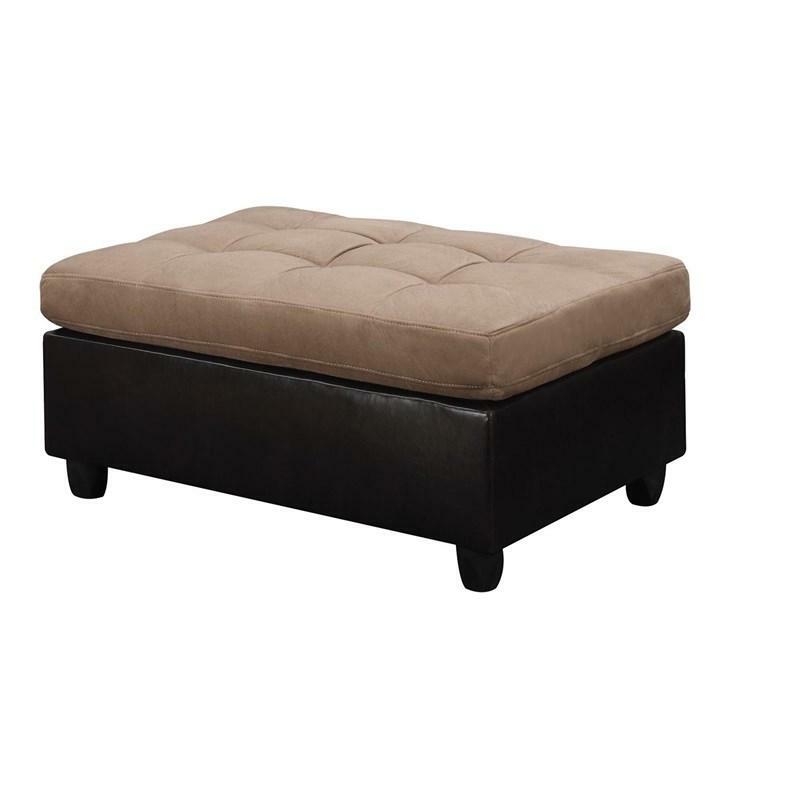 m.
The Mallory Ottoman will make a great addition to the matching Mallory pieces. 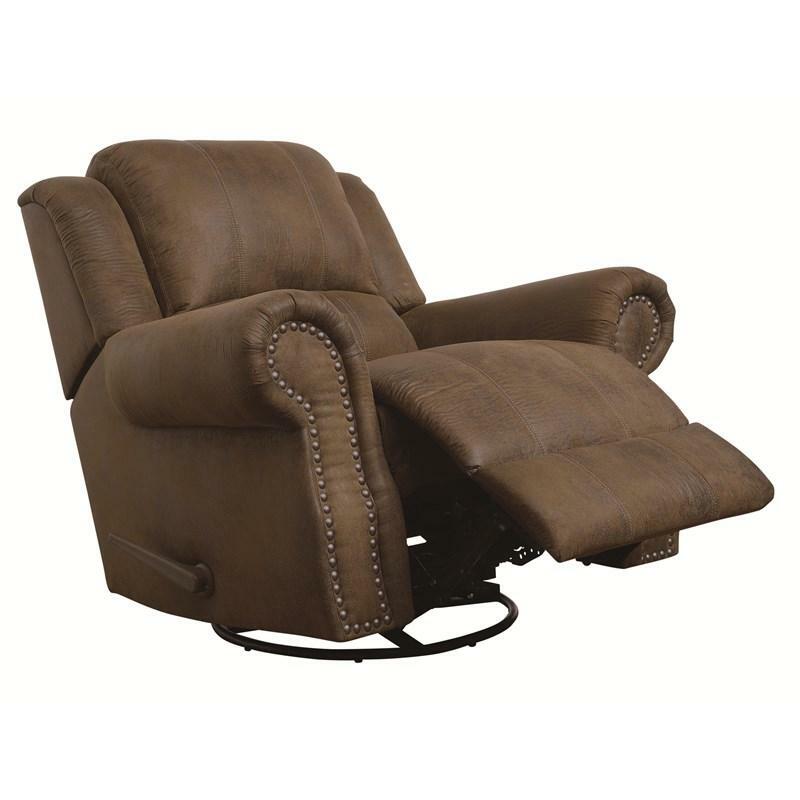 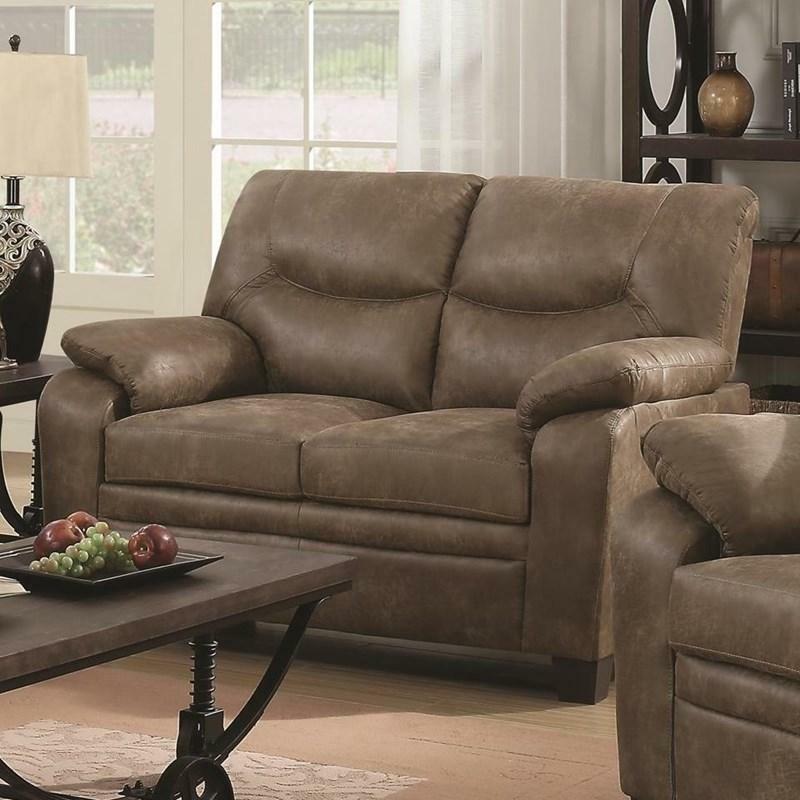 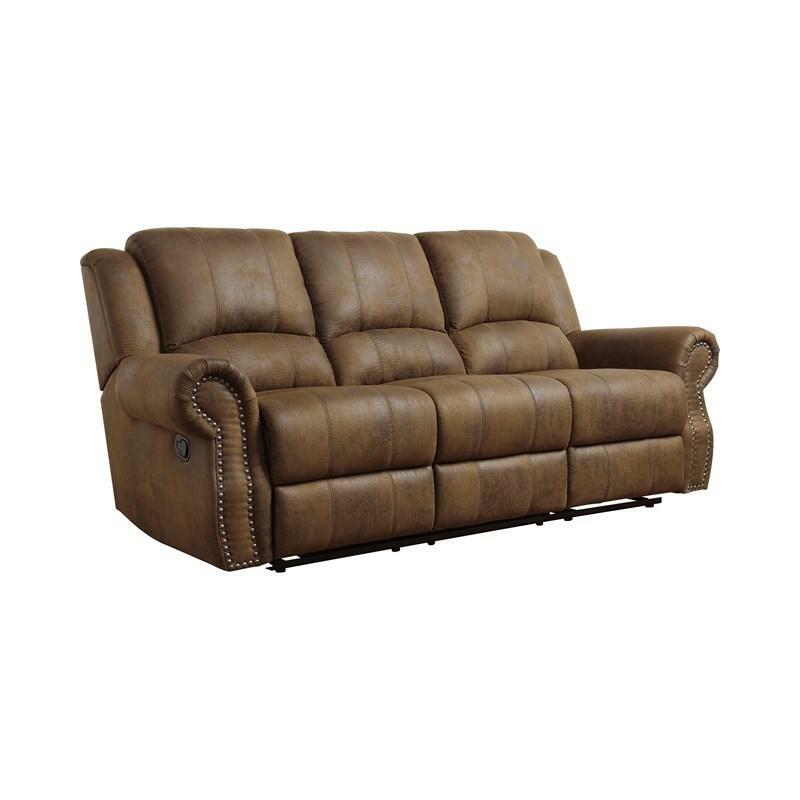 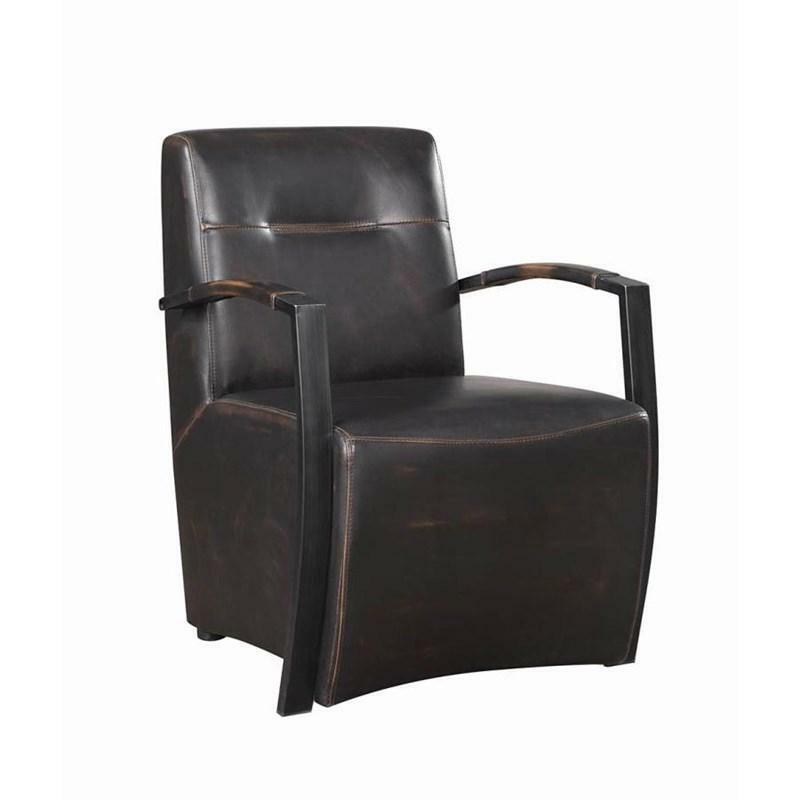 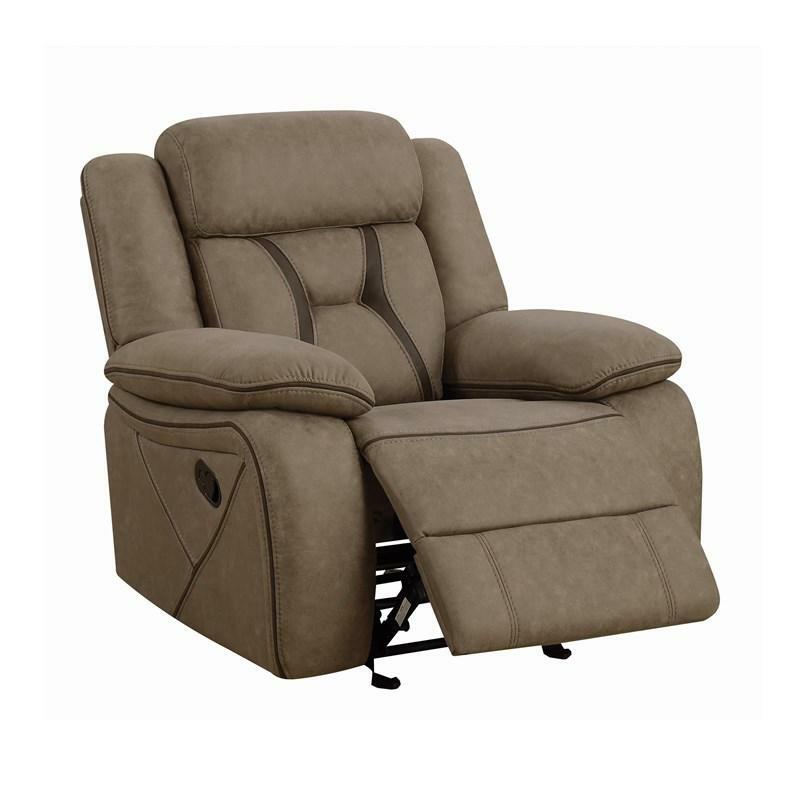 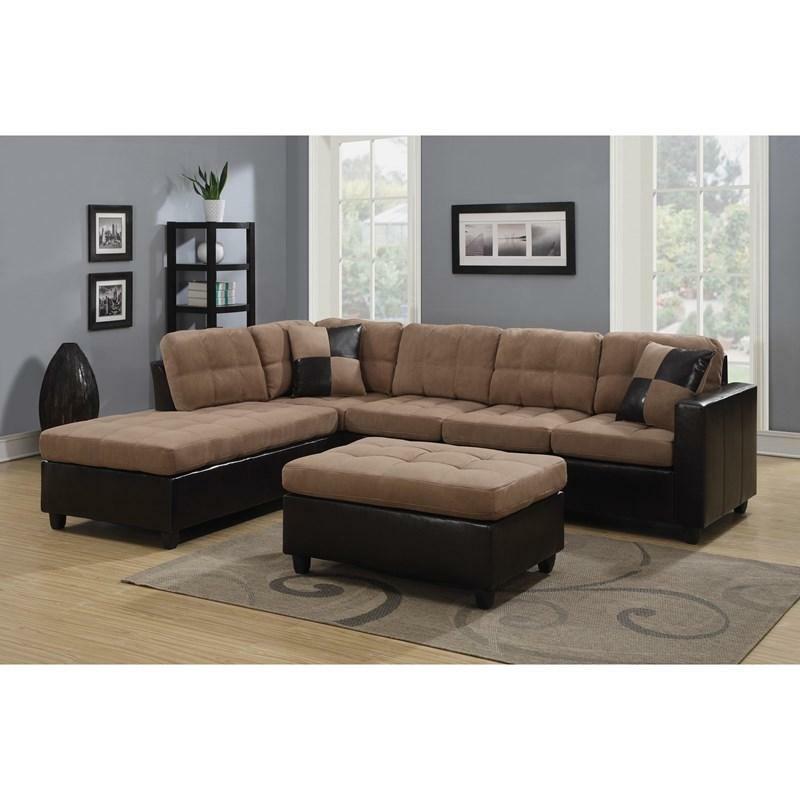 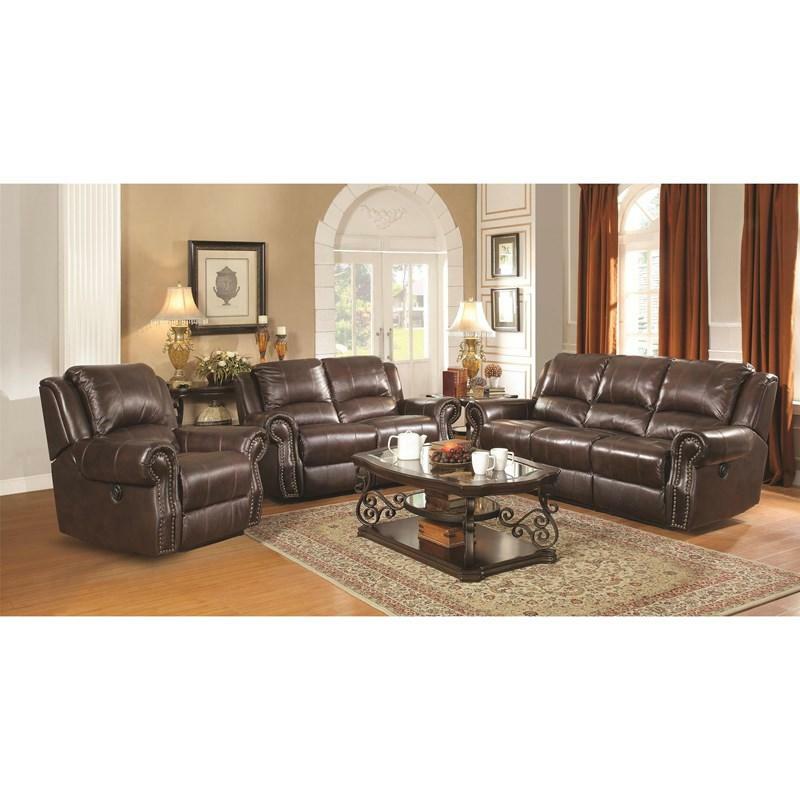 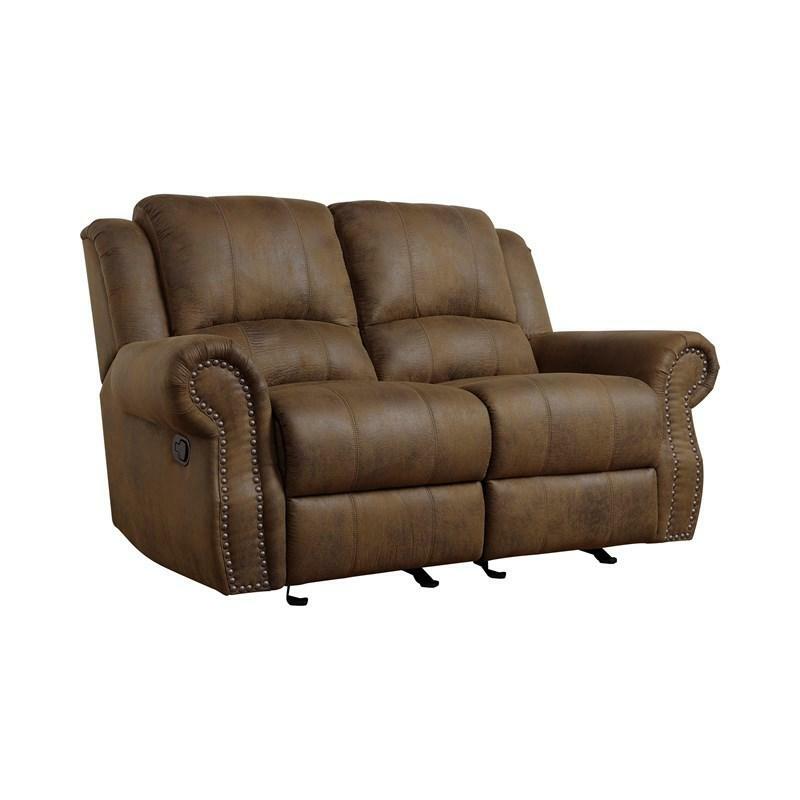 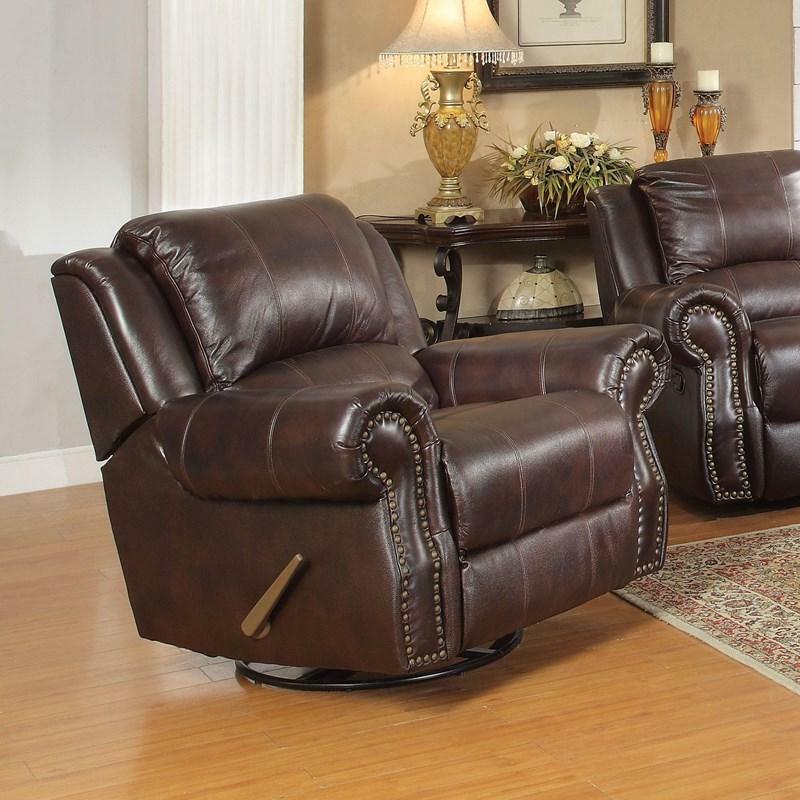 It comes in a two-tone upholstery and features a button-tufted seat and tapered feet.